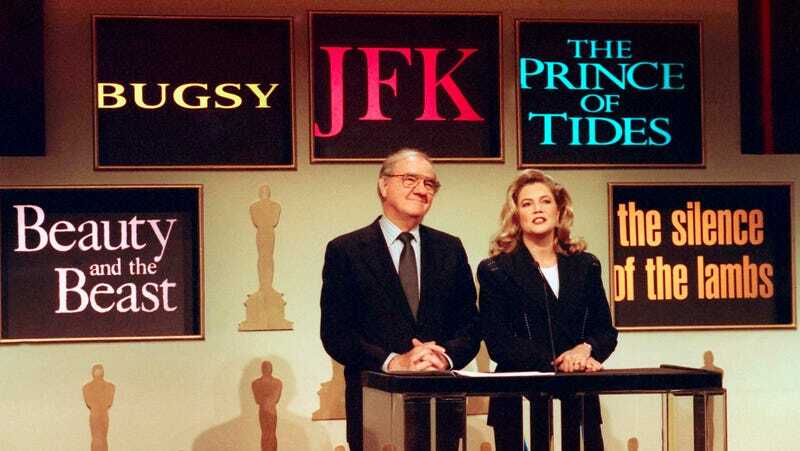 On this day in 1991, the nominations for the 64th annual Academy Awards were announced. (Silence of the Lambs would ultimately win Best Picture.) That’s Karl Malden and Kathleen Turner doing the honors. Not sure whether those are just posters or TVs set into the wall, but either way it’s fantastic.